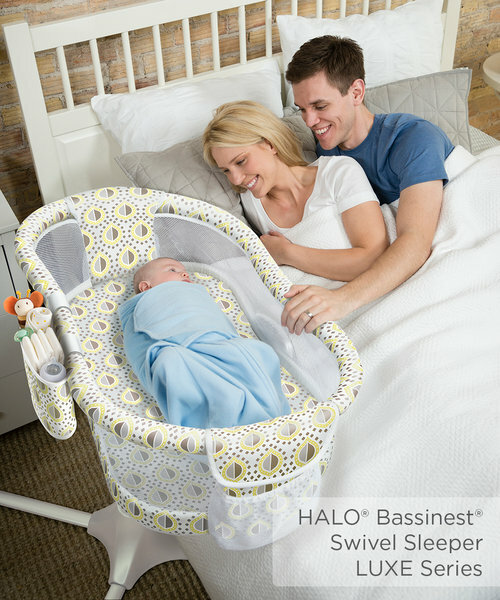 The HALO® Bassinest® Swivel Sleeper (www.halobassinest.com) has revolutionized the bassinet category by providing parents with a safe way to allow baby to sleep as close as mom wants. Baby sleeps closer to mom than with any other bassinet, even right next to her in bed; however, parents rest easy knowing baby is close and in his own safe sleep space as the Bassinest eliminates the risks associated with bed-sharing. The Bassinest is not only safe for baby but also provides comfort for mom with its unique rotation that allows her to enter and exit the bed easily, and the retractable side wall reduces lifting and makes caring for baby easier. 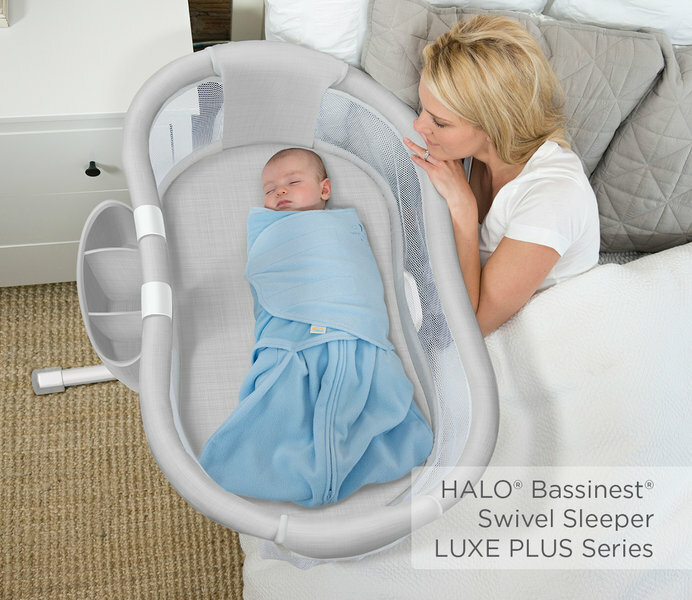 The Bassinest Luxe and Luxe Plus Series offers consumers additional benefits and accessories. The Bassinest Luxe Series, which features the soothing center found in the Premiere line, also incorporates a floor light to illuminate the floor around the Bassinest to help parents when getting out of bed, and a new coordinating storage caddy to hold baby’s essentials attaches to the back of the Bassinest. The Luxe series will be in stores beginning Spring, 2016 with a Special Edition reserved for specialty stores. The suggested retail of the Luxe is $279.99 and the Special Edition (Luxe Plus Series) reserved for specialty stores with retail at $299.99 includes a waterproof mattress pad and 100% cotton fitted sheet as an extra value to the customer. To meet the growing demand for organic products in the juvenile category, HALO has also developed an organic mattress for the Bassinest (SRP: $61.99). The hypoallergenic eco-friendly mattress will fit all Bassinest models. 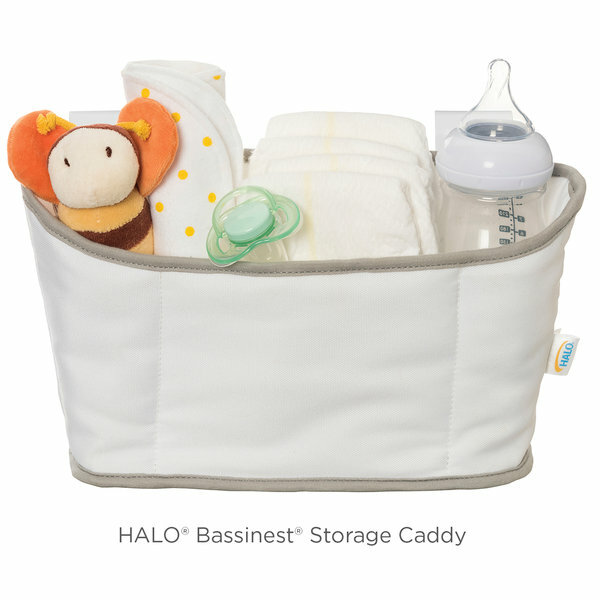 In addition, the storage caddy which is included in the Luxe series can also be purchased separately (SRP $19.99) and will fit all Bassinest models. 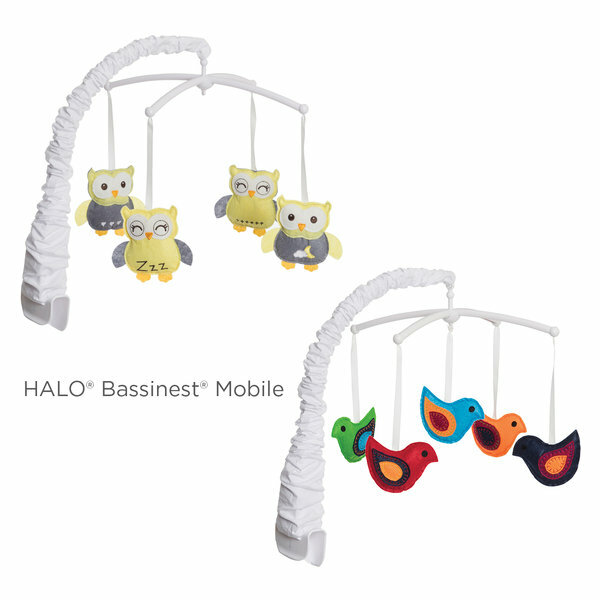 A beautifully designed mobile that easily attaches to the Bassinest will retail for $39.99.